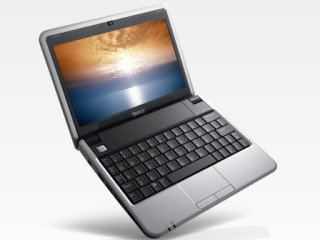 Vodafone has extended its range of 3.5G laptops by adding in Dell's Inspiron Mini 9 to make use of its extended HSDPA network. It's becoming something of a fashionable act to offer consumers a netbook for free with a long-term contract, and the tie up with Dell will see Vodafone offering a £25 a month tariff with 1GB a month data allowance. We're all hoping customers will have the option to up the amount of data they can purchase, as 1GB barely translates into a quick monthly YouTube visit. The Mini 9 is available only on 2-year contracts, so make sure you really want it before signing up... though the 3.5G is inbuilt, with no need for a dongle, so at least that's something you can console yourself with when you top 1GB usage AGAIN. Vodafone currently has the fastest 3.5G network in the UK, with 7.2mbps translating to around 3Mbps in real time, and more towers with the zippy-fast connection are being rolled out around the country.